Polygon, 2018, 93 p, plus iv p Foreword (common to the edition?) and xi p Introduction by Andrew O’Hagan. First published in 1970. 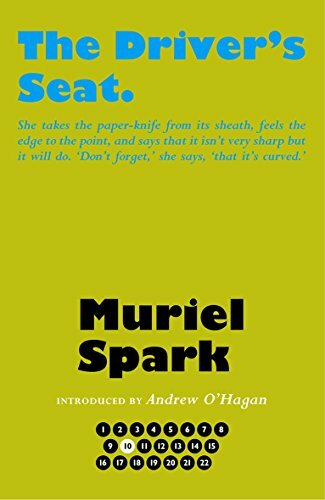 Polygon seems to have published all Muriel Spark’s works in a uniform edition to mark the 100th anniversary of her birth. As I have others of hers on my bookshelves I might not have read this particular one had the good lady not picked it up at a local library. The novel starts with Lise buying some clothes in absurdly clashing colours after she left a previous shop in high dudgeon when the saleswoman informed her the fabric was stain resistant. Lise clearly wants to draw attention to herself. The clothes are for wearing during the holiday she is about to embark on. She spends her time on the plane looking for a man who is her type, thinks she has settled on him but he is frightened off. On the ground she engages with random people she meets, constantly looking for her “type” and dismissing men who don’t fit the bill, taking up with Mrs Fiedke, having unusual encounters in shops and (deliberately) leaving her passport in a taxi. As the – very short – book hastens to its denouement it becomes obvious that Lise is the one in control of her own destiny. She, a woman, is in the driver’s seat, unlike in most fictions covering dark subject matter. Spoiler alert. Responsibility for the crime, when it occurs does not lie with its perpetrator. This is another odd one. Like in others of Spark’s books I found her style unengaging. It’s as if you’re observing her characters through a layer of glass. Lise’s psychology may be sound but since we only observe her obliquely it comes across as just weird.